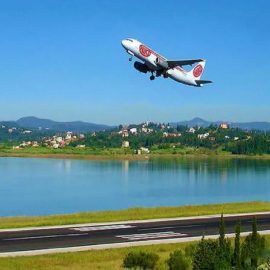 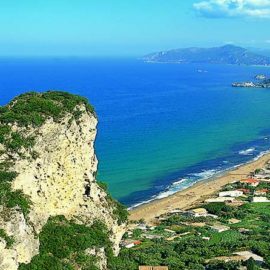 The best and famous tourist resorts of Central Corfu are here in these guides. 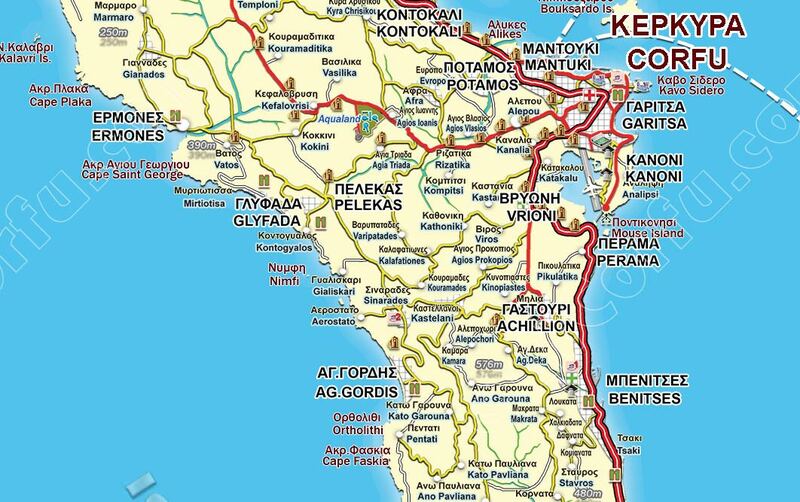 Central Corfu is the geographical center of the island. 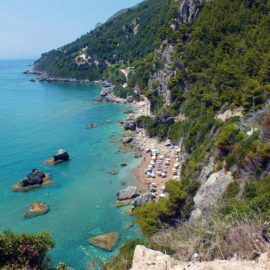 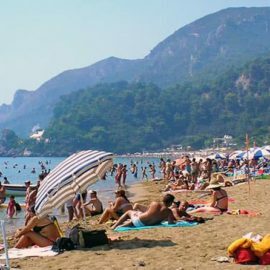 It is the area with the most population, about 40,000 permanent residents live here since it includes the city of Corfu and the municipal district of Achilleion which after the city has the largest population. 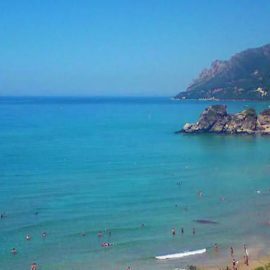 It has several small and big traditional villages and many tourist seaside resorts and beaches, both on the East and on the West coast of the island. 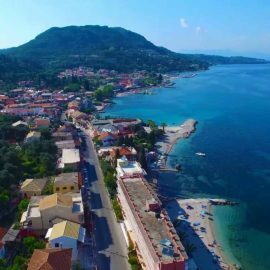 Here and in the East side there are destinations such as Benitses, Perama, Kanoni south of the city and the capital city of the island itself. 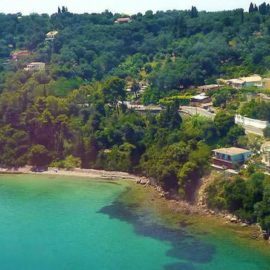 Also in this area is the Achilleion palace, but also the most important monuments of the island in and around Corfu town. 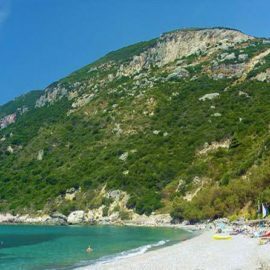 While on the west coast we find unique beaches such as the nudist beach of Myrtiotissa, the famous Pelekas with its beach of Kontogyalos, the long sandy beach of Aghios Gordios, the beach of Ermones and the most cosmopolitan beach of the island Glyfada.